It takes a village to make these LEGO movies and that village is called Hollywood, or Warner Bros. more specifically. 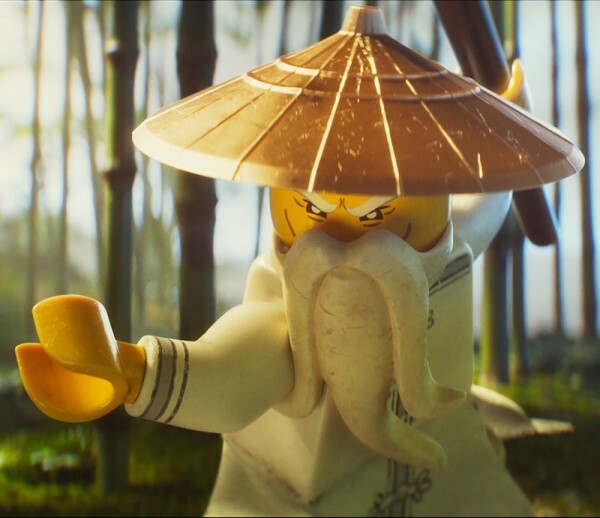 Dan Lin and Chris McKay are two of the producers overseeing the larger LEGO franchise. McKay directed The LEGO Batman so they were two execs I definitely wanted to talk to for The LEGO Ninjago Movie. 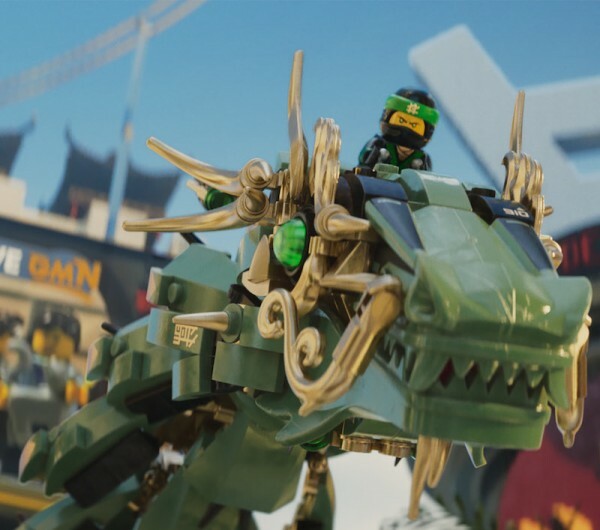 The LEGO Ninjago Movie follows the plot of the the LEGO Ninjago TV show where Lloyd Garmadon (Dave Franco) has to fight his father Garmadon (Justin Theroux) as the Green Ninja when really he just wants a dad. The LEGO Ninjago Movie is now in theaters. 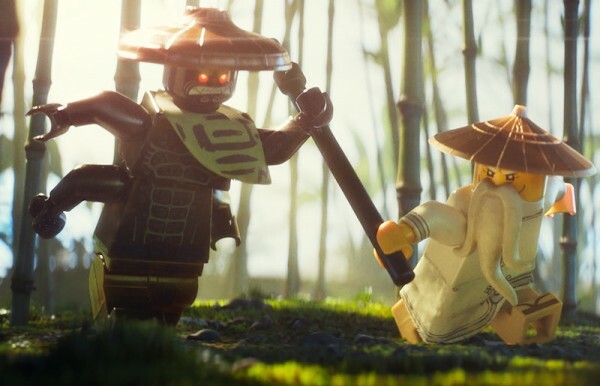 Nerd Report: Does Ninjago stay within the Ninjago world where other LEGO movies have brought multiple worlds together? DL: Yes, absolutely. It’s staying on the island of Ninjago but there is a journey that they go on that they go to the jungle world that surrounds the city of Ninjago. So it’s staying within the island, in general staying with the island of Ninjago but the story does branch out into the jungle world that surrounds the city of Ninjago. CM: Which is a photoreal organic world that matches the photoreal LEGO mini-figs but it’s using real organic plants and dirt and things like that. As a kid, I used to go out and play in the yard. In the summer I used to take my toys and go out to the sandbox or go to the park and bring ‘em to the trails and things like that because that was fun to bring your toys out into the dirt and play. That’s what this movie is mimicking. 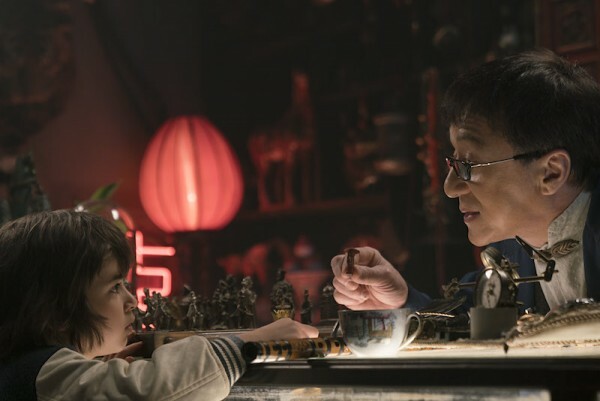 DL: You saw in the live-action, Jackie Chan is a secret Ninjago collector. So he has a wood Master Wu in his wood box. He has LEGO in his fish tank. We weren’t able to show the whole world but even in his bonzai garden, bonzai tree, he has little mini-figures in that tree. So that’s really the logic behind the movie when you see the natural elements of water and fire and smoke. It’s all taking place in Jackie Chan’s store. NR: Is part of the Ninjago brand that it’s Asian inspired but international characters? DL: Yeah, it’s pan-Asian. There’s this western mythology to it. If you think about it, it’s very much a comedic Star Wars we like to talk about it. It’s an Asian world with western archetypes and mythology. Lloyd is very much a Luke Skywalker type character. His dad is a Darth Vader character. He’s the worst villain in the world but we’ve taken those archetypes and given it a comedic spin. NR: Was Meowthra a completely CGI cat or could you use any live-action cat? CM: Modeled after a live-action cat. DL: We did a ridiculous experiment for a couple of days where we tried working with a green screen and a cat which did not go very well. The CGI cat obeys a lot more than the live-action. CM: It turns out it’s hard to coach a cat. Who would’ve thought that it was hard to make a cat do what you want it to do? DL: But we did use a live-action cat as a model. NR: What were some of the classic martial arts movies you looked at as inspiration? DL: 36th Chamber of Shaolin. Definitely Five Element Ninjas because of their elemental powers and things like that. A lot of Shaw Brothers stuff. A lot of Jackie Chan, Drunken Master, Project A.
NR: When did Ninjago become the father/son story? DL: The very beginning. That’s the origin of the TV show that the father is Garmadon and Lloyd is the long lost son the father discovers has now become the Green Ninja. That was the major storyline we took from the TV show. We decided not to do an origin story. We felt like it’s been done before and people who watched the show may not be as interested in seeing that same story again. It’s the big challenge that Chris and Charlie had which is how do they tell the story and get people up to speed very quickly who haven’t watched the show. We wanted to make a movie that fans of the show would really appreciate and also bring a whole new audience to it. NR: Did you have to select PG appropriate fight clips for the YouTube montages? CM: Yeah, although if you freeze frame through there might be a couple of things we snuck in. DL: You chose those videos. CM: Some of that stuff. They were the most fun and most ridiculous things we could find that gave you an idea of the kind of thing you’d find doing a search on martial arts movies on YouTube or something.